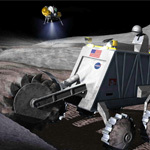 NASA’s third annual Lunabotics Mining Competition will be held in the Kennedy Space Center on May 21 to May 26 2012. The LMC is known to be a university level competition which is designed to engage and promote interest in space activities and STEM (Science, Technology, Engineering and Mathematics) fields. So what’s the challenge ? 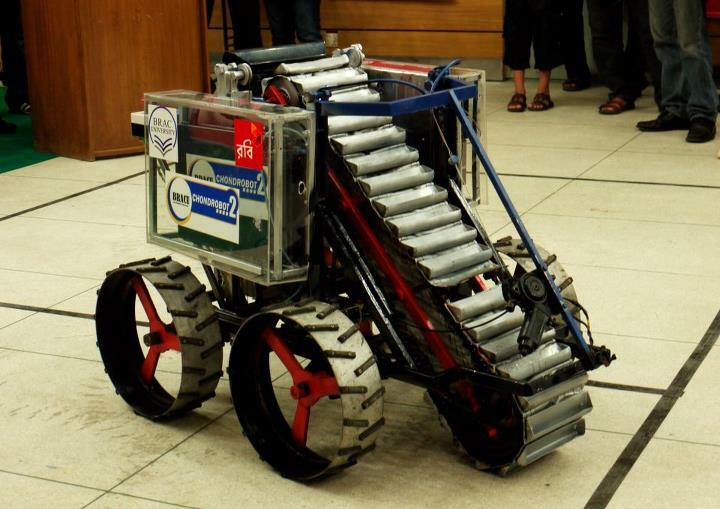 Students around the world will be inventing a new robot, called the Lunabot, which would be able to excavate in the lunar surface and deposit a minimum 10 kilograms (22 pounds) of lunar soil within 10 minutes. Teams will be judged on areas such as the weight, size limitations, ability to control the Lunabot from a remote mission control center etc. According to NASA, over 50 teams around the globe have registered to compete to win the Joe Kosmo Award for Excellence, the grand prize. The winning team’s robot concept would be used for the actual mission in the moon! Now that’s an achievement.!! 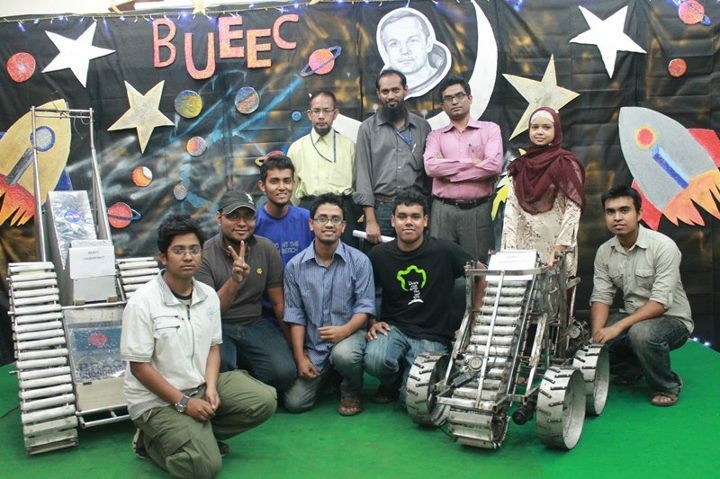 From Bangladesh, BRAC’s university’s School of Engineering and Computer Science and MIST ( Military Institute of Science and Techonology) will be participating in this years LMC. 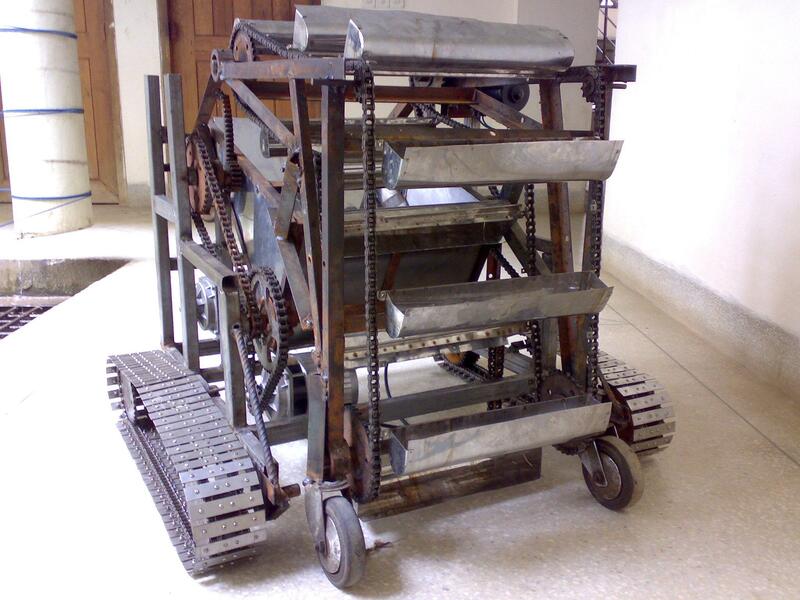 BRAC university participated in the previous competition by showing their robot codenamed “Chondrobot” and had earned much acclaim but unfortunately was not able to win the competition. This year again, they have invented the successor, the Chondrobot 2 which is much more efficient and intelligent and the team is confident to bring the grand prize home ! According to an interview given to the daily newspaper in Dhaka, The Daily Star, the Chief Adviser to the project, Dr Md Khalilur Rahman said “It has a very strong and powerful mechanical structure, as it has gained perfection after many trials and errors. Very latest Kinect sensor is used in it for obstacle detection and path planning”. Seems like the Microsoft Kinect sensor has come to good use ! This just shows that the kinect has a great potential beyond gaming ! Another group comprising of 6 faculty members and 5 students from MIST will be also attending the competition with their robot codenamed “Robomist” which is able to collect 60 kilograms of lunar dust in 10 minutes, beyond the required rate ! Fingers crossed for the event ! 6 days to go. Let’s hope the teams bring the grand prize home ! Best of luck to all the teams participating in the competition ! We from Bangladesh, are really proud of this award ! Thanks a lot to those who brings it to the country. I am proud to say this is an invention from Asia and even NASA or any forces can use this for their needs well done guys. This would be a great event to witness the intellect and creativity of students. It would also help NASA to scout new and better emerging talent which would actually help them discover more about outer space. Thank you for the exciting read!